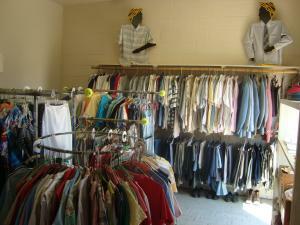 The Clothes Closet has been up and running at Calvary Baptist since September 1996. This ministry has been providing free clothing to anyone in need. In the last few years, we have seen a growth in the number of people searching for clothes of any kind, including school and business attire. 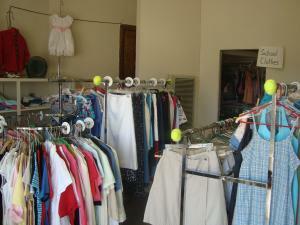 The Clothes Closet is located at Calvary Baptist in the corner of the church near the parking lot. Hours of Operation: Tuesday and Thursdays 2:00 p.m. - 4:00 p.m.
of good, clean clothing are also accepted during these hours.